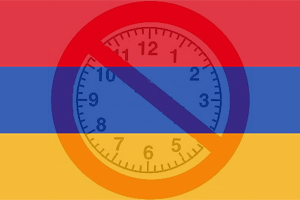 The government of Armenia is looking at implementing a time ban on alcohol advertising through digital media. If the plan succeeds, marketing for cigarettes and strong alcoholic beverages will be prohibited on digital media between six in the morning and ten in the evening. Website Armenpress.am reports that the National Assembly of the Republic of Armenia convened earlier this month to discuss an amendment on the law on advertising. The plan is to ban ads for cigarettes and alcoholic beverages containing 20% alcohol by volume and upwards in electronic media during day time. Exempt from the ban are brandies containing local products. Deputy of the National Assembly Samvel Farmanyan who is responsible for the drafting of the amendment has said that the government is currently improving the definitions used in the amendment, specifically concerning which products will be included in the ban, as well as what kinds of advertisements.